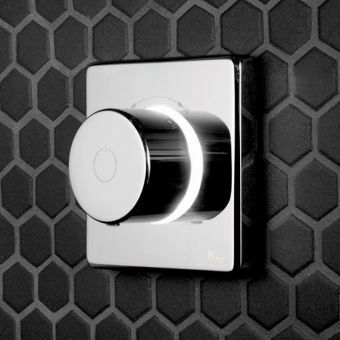 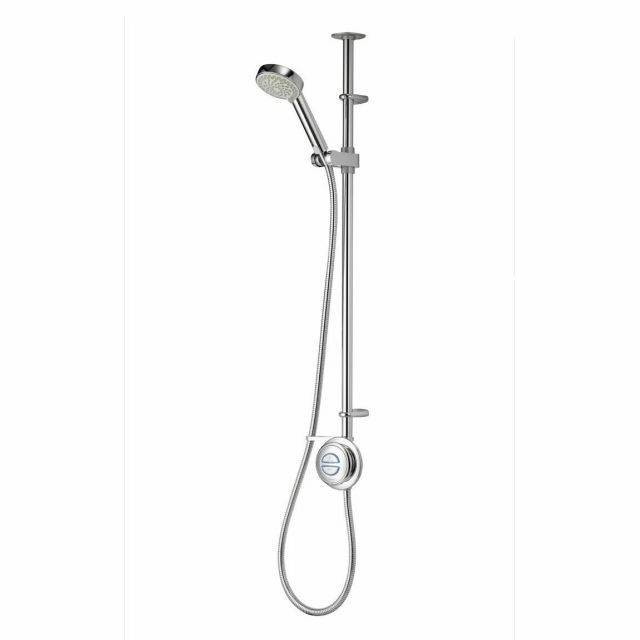 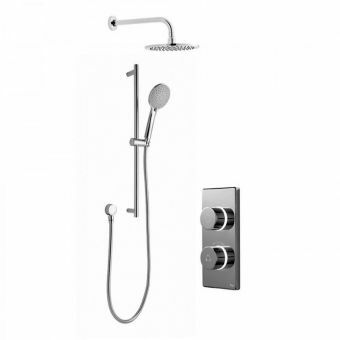 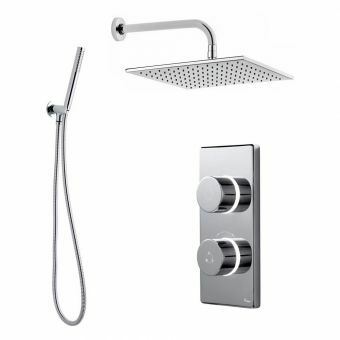 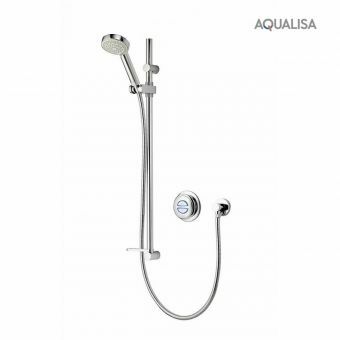 A highly versatile shower kit, the Aqualisa Quartz Digital Exposed Shower System has all the benefits of offering a fully customized shower experience, presented in a sleek, modern finish. 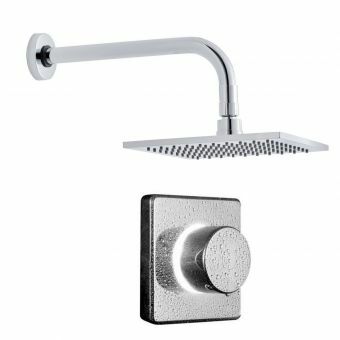 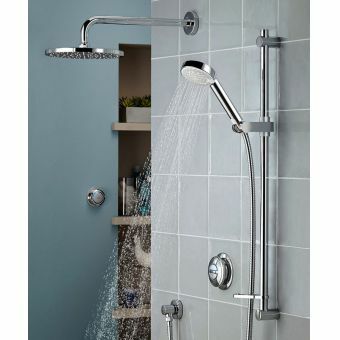 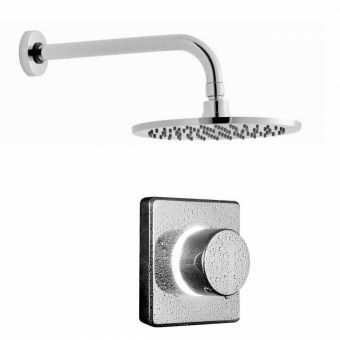 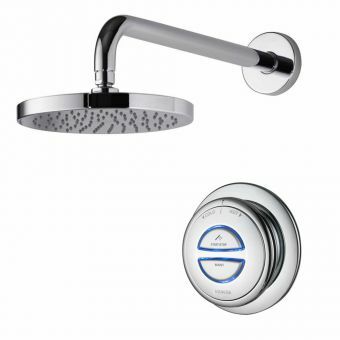 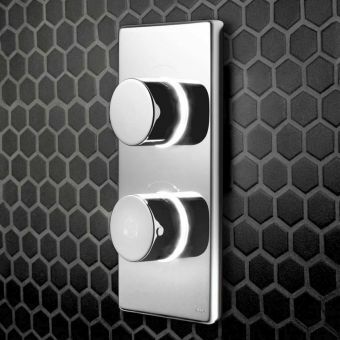 LED backlighting indicated when optimal water temperature has been reached to allow for total user comfort, while the multi-spray shower head gives full control over the shower experience. 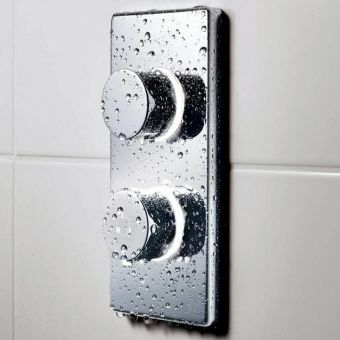 Four separate sprays can invigorate or relax as required, with an eco-spray to reduce water consumption by up to 25 percent. 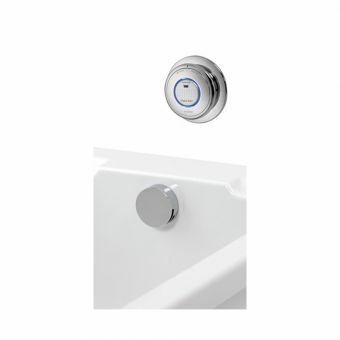 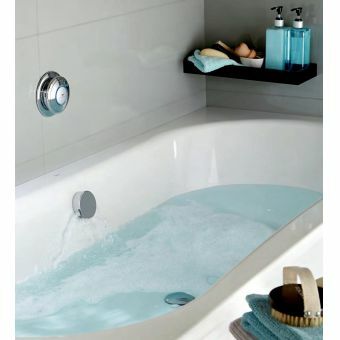 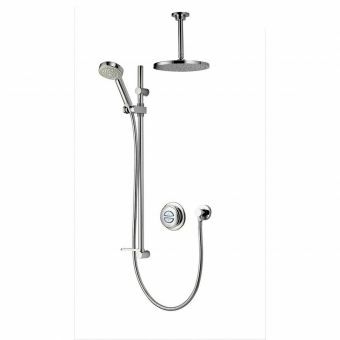 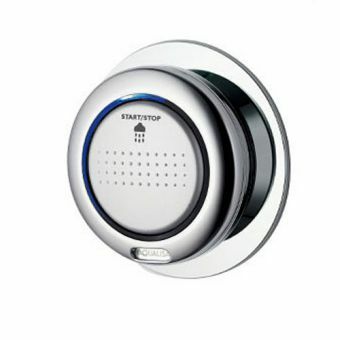 A boost function gives an extra surge of water when needed, while the eco function reduces water consumption further without compromising on shower quality, making this the ideal unit for those keen to reduce their water consumption and make showering as cost effective as possible. 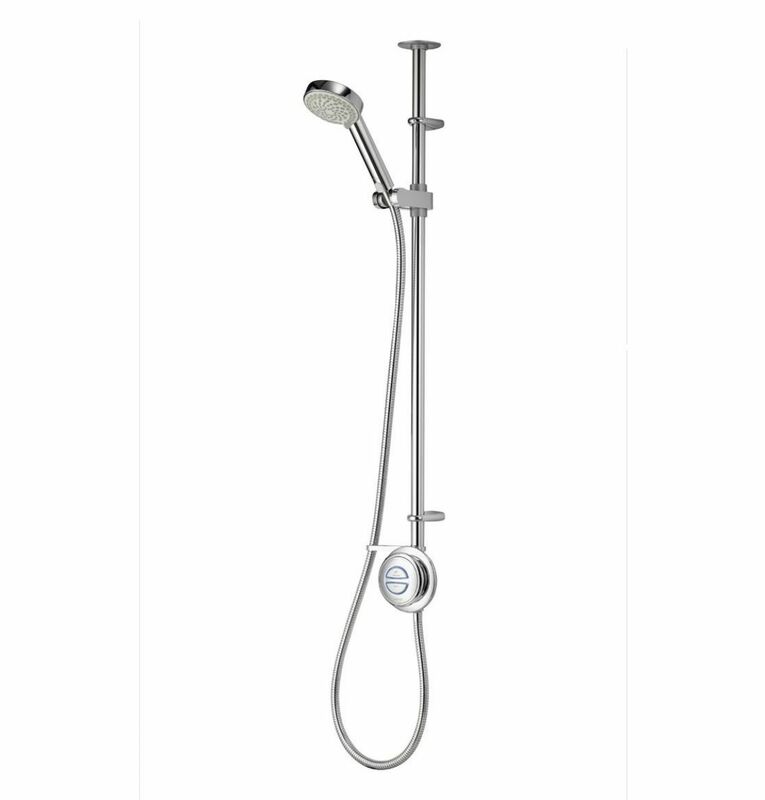 Supplied with a wall-mounted riser bar, the whole system is fully height adjustable. 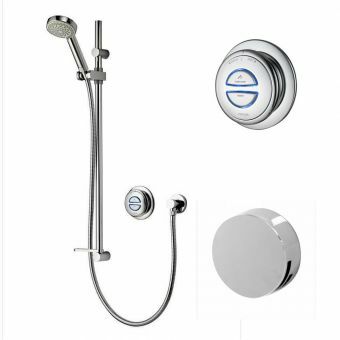 Compatible with both gravity-fed and high pressure systems, this adaptable unit can fit in with almost any bathroom plumbing.